4th Street Brewing occupies a large two story building with a partial brick facade on a corner in the Portland suburb of Gresham. 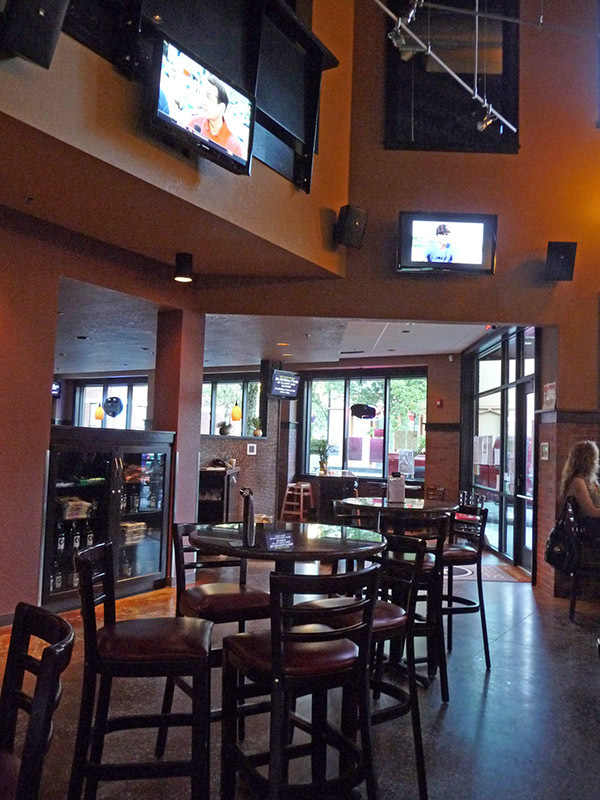 It is a good-sized place with a large bar area as well as dining seating. Overall it has a very suburban atmosphere. The bar area has very high (seems like more than two stories!) black ceilings and large windows looking onto the street with some clerestory windows on the south side. The dark wooden bar with tall dark wood chairs with padded seats is on one side. 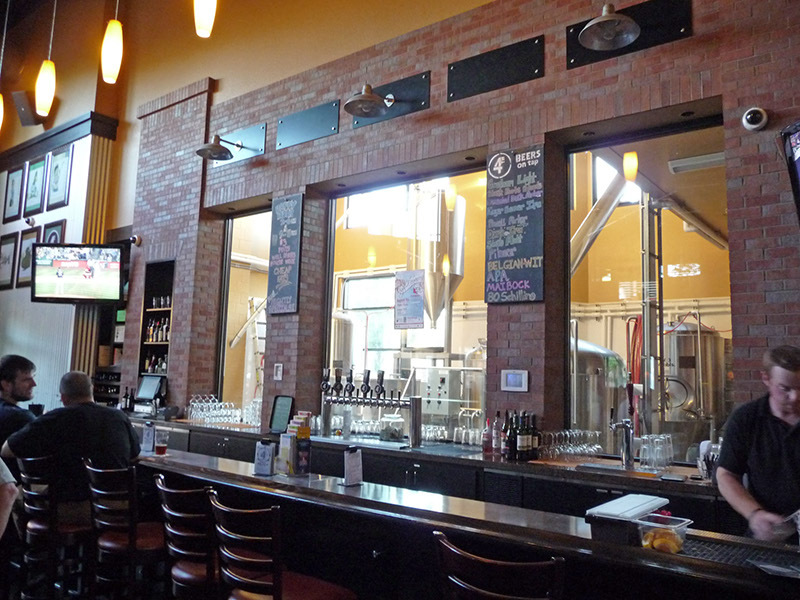 The bar back is a brick partition with three large windows that look onto the brewery. You can see the grain silo, mash tun, brew kettle, and fermentors. The rest of the room is filled with tall rectangular wooden and circular marble-topped tables, all surrounded by the same chairs. Long, slender, orange 1950â€™s-style frosted glass light fixtures hang from the ceiling and match the light pumpkin color painted walls. The floors are worn painted concrete. To the right of the entrance is the dining section with lower single story ceilings and similar (but squatter and more oval) versions of the lighting fixtures in the bar area. 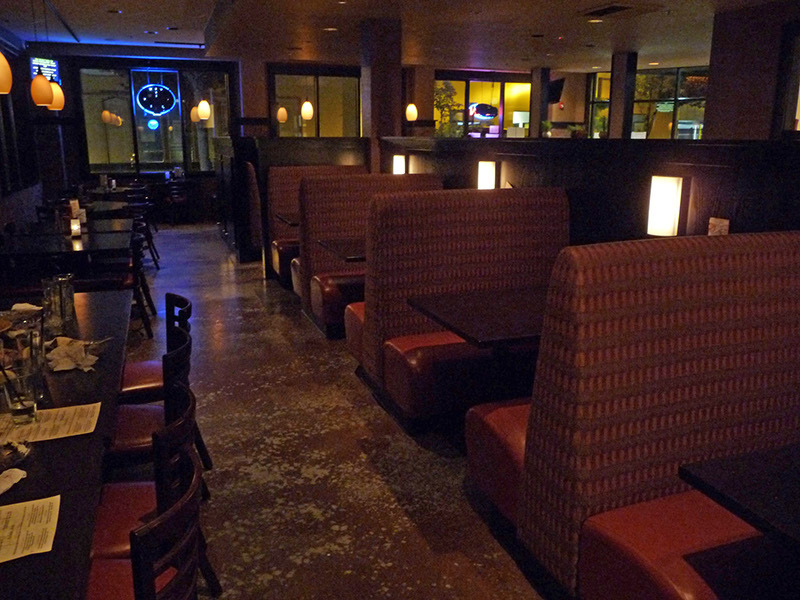 This section has a large number of dark wood paneled booths with padded seats and a row of dark wood tables and chairs by the windows. The beer made here isnâ€™t bad. Twelve beers brewed on the premises were listed on a chalkboard on our visit. The Eager Beaver IPA was decent but not exceptional (especially considering this is the Portland area) and the Dark IPA was barely OK. Excellent beers all brewed on site. Good happy hour and decent food. Will fill growlers and have special prices on Sunday to fill them as well. Owner is brewer and a long time brewer from Wisconsin.This location is all new about 3 years ago. 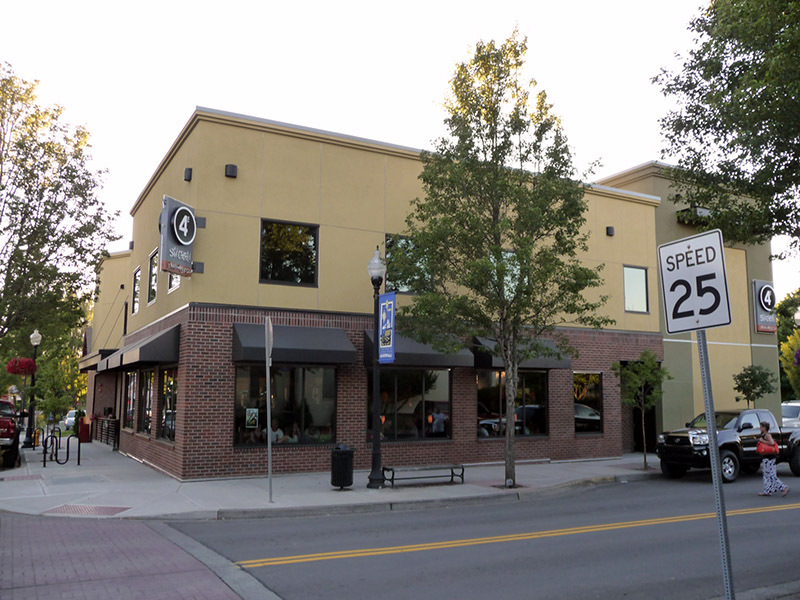 They were in a leased location several blocks away and known as Main Street Brewing. A new brew house was built contained in the Bar and Food service area. Very nice place and they have facilities for large groups and parties to be catered also. Decent happy hour menu and beer prices are great during happy hour and fair at normal times. Friendly staff as well.